Some may be surprised to know that the first time I got to play this game was nearly 5 years ago, shortly after Early Access released. And even then, the sheer vastness of it was incredible; being able to create your own spaceship, sending it into space and, if you were lucky, landing it successfully on Mun (moon) without crashing it, otherwise you’d have to revert back to launch and start it over again! 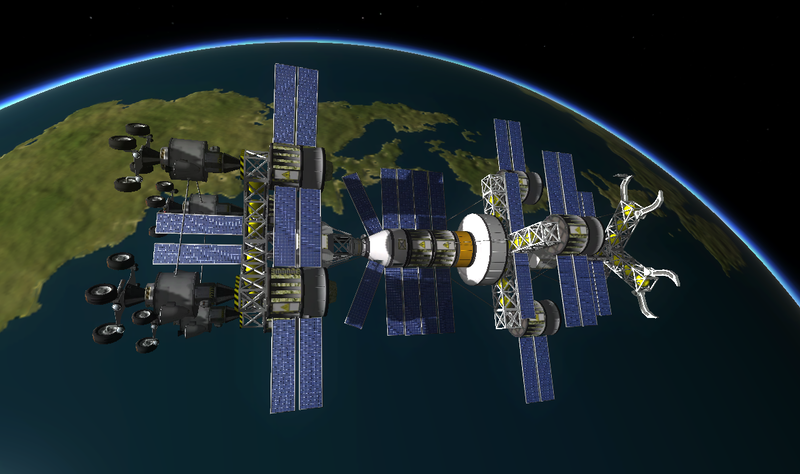 As a fellow Kerbal of the planet Kerbin (sort of people on a sort of Earth) your mission is to explore the Kerbol System via the Kerbal Space Centre. And yes, the game itself includes many “Kerbal” connectives. From the constructing of the simple to the downright ridiculously mammoth of spacecraft, you lead your team of Ker-men into the great beyond to discover, research and populate the many planets and moons of the Solar Kerbol System. The original Sandbox game mode is one of three, including a Science and Career mode which both progressively help new players into quite an overwhelming range of constructive parts and objectives. The game has evolved over the years and now includes the ability to mine asteroids, create advanced space stations (including planetary-based) or simply make your own objectives; like landing on EVERY extraterrestrial body in the system with the same ship. The flight and navigation is a mathematically accurate and complex system with gravitational pulls, centre of mass, resistance and weight all taken into account on every part of your frontier. Simply docking for the first time is both tantalisingly tense and rewarding! The game itself was awarded a 9 out of 10, and has been hailed by members of the SpaceX program and even had the team work closely with NASA on the Asteroid Redirect Missions. On Friday July 15th, KSP lands one Xbox One so if you’re a lover of sandbox or tycoon games this is one, that I would bet many a Kerman life on, won’t let you down. A personal favourite of mine, just don’t get overwhelmed all the different parts – flying around the galaxy can take its time you know! Their latest update, Turbo Charged, may not be available this week but just so you know where the game is at right now the short video sees you on your merry way. Be nice to the little green men! Until the next shuttle explodes launches off, make sure you like our Facebook page, join our Facebook group, subscribe to our Youtube channel and follow on Twitter and Twitch for all the latest Xbox One news, reviews and competitions.